enaio® labs is a basic software tool used to manage and document lab processes. As multi­disciplinary lab records, all specialist disciplines that generate or capture lab data within the company can be shown as modular digital file cabinets in the enaio® Laboratory Content Center. Customer-specific developments are available for biological diagnostics, clinical chemistry, toxicology, food testing, environmental analysis, and forensic technology, as well as the pharmaceutical and automotive sectors. Special add-on modules – enaio® lims and Biobanking/Big Data – are available to add to the matching specialist disciplines in enaio® labs. The perfect system for your lab. Keep a constant eye on key information. The project management function in enaio® labs delivers a clear overview of documented lab samples. The current processing status of lab samples can be viewed directly in enaio® via task and workflow management. All recorded data and documents regarding a process are managed in the matching digital record in the Laboratory Content Center. All types of documents, including Office files, images, and e-mails, are supported electronically. The context-specific digital record serves as the user interface where you can edit lab processes, manage results, and create reports. Data forms, which can be easily customized, can be used to define metadata (e.g., experimenter, date, method, device, assay) for each process and export this information together with test readings to reports and logs. 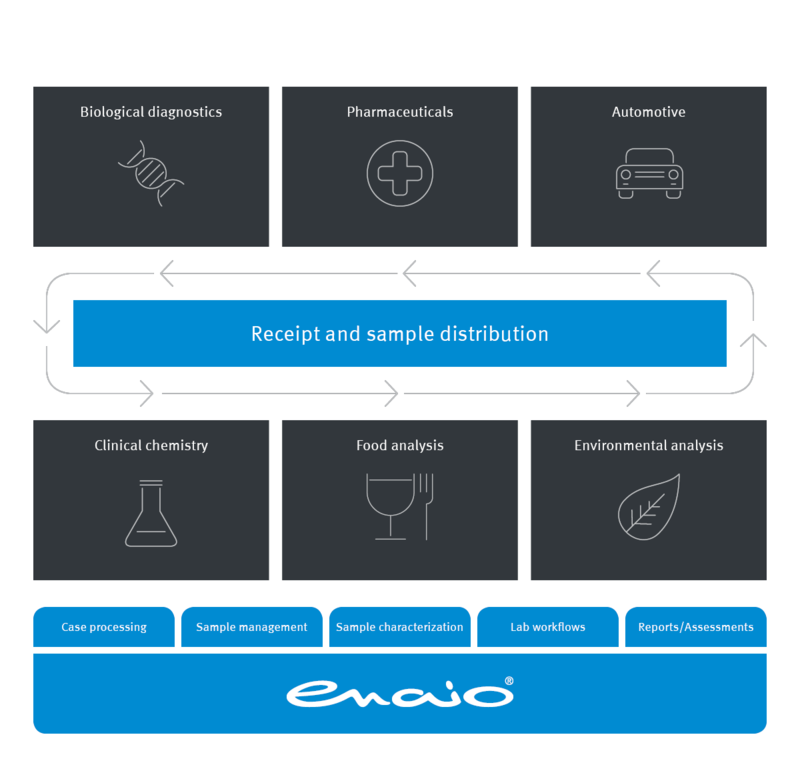 Using the digital lab records in enaio® labs, all specialist disciplines that generate or capture lab data within the company can be mapped in enaio®. Each lab discipline receives its own modular digital record cabinet. enaio® helps to optimize company-wide processes by structuring, standardizing, and thus simplifying them. We’ve been able to save time and space. The time and costs associated with transporting files and records are a thing of the past. Along with that, the departments are now able to collaborate more effectively. Documents which had been distributed as hard copies are now stored electronically, meaning that multiple authorized users at different locations can access them at once.